For gaze-enabled communication and computer access on the go! 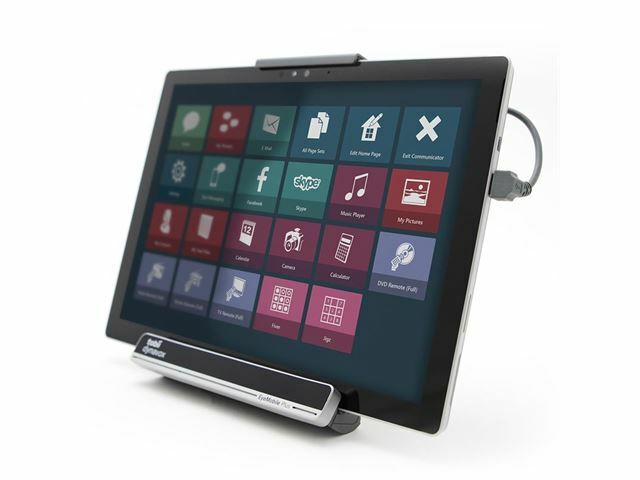 The Tobii EyeMobile Plus is a purpose-built bracket solution for mobile communication and computer access that lets you combine eye tracking, speech recognition, switch, and IR for completely hands-free access to Windows 10. Navigate your computer, control and access Apps, Internet, music, e-books, social media, games and more! 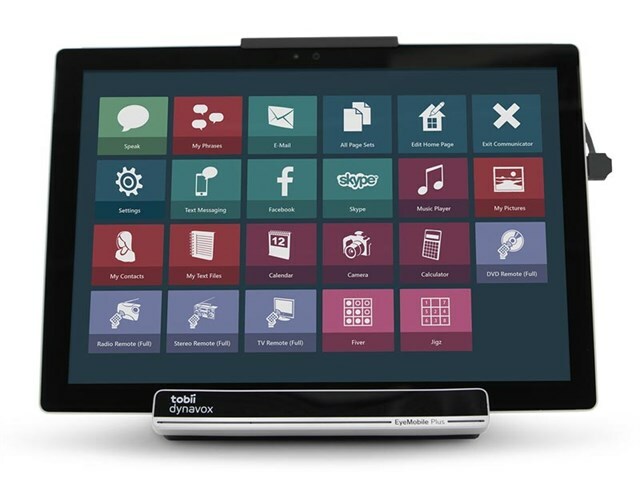 Tobii EyeMobile Plus gives you the power to explore your world. EyeMobile Plus provides individuals with physical and mobility challenges, such as spinal cord injuries or ALS, all the necessary tools to communicate effectively and empowers them to access hands-free mobile computing. 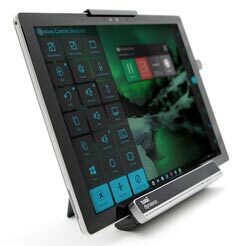 The EyeMobile Plus combines the best in eye tracking, high-quality speakers, speech recognition, switch access for scanning, and infrared (IR) control into one solution. 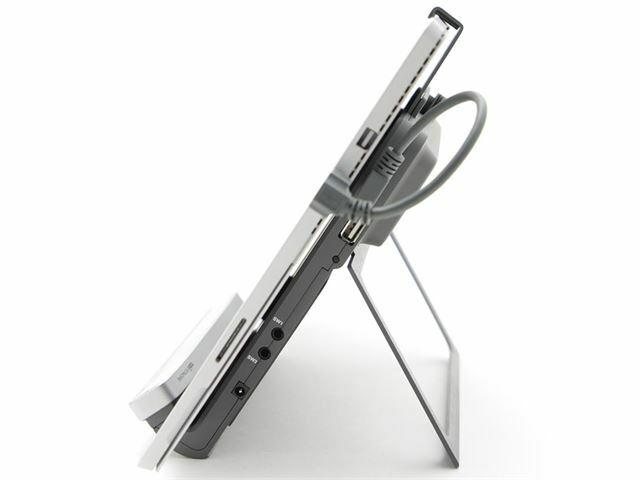 Choose between two different product options: EyeMobile Plus Bracket with the Microsoft Surface Pro 4 tablet or the EyeMobile Plus bracket only if you already own a compatible tablet (see specifications below). For Augmentative and Alternative Communication (AAC), we also recommend adding Communicator 5 software (not included). 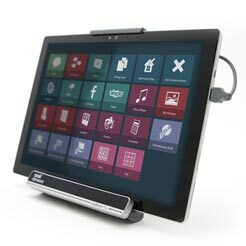 The EyeMobile Plus comes standard with Windows Control software installed. 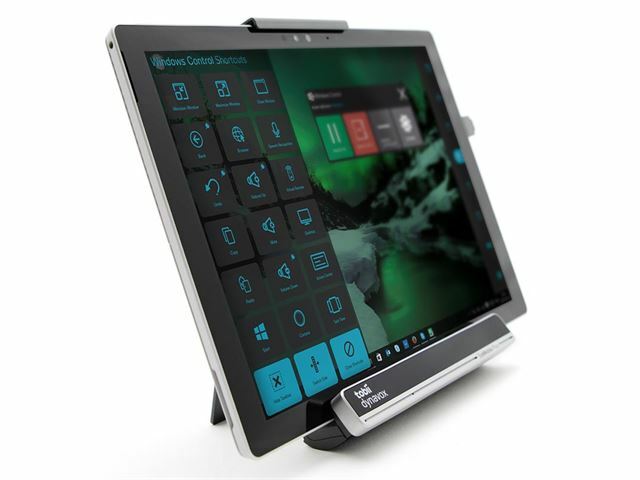 Engage with confidence - with a compact, all-in-one solution for communication and computer access, everything you need is combined into one stylish solution. Be heard loud and clear - with two powerful, outward facing speakers that provide the user speech optimized voice output. Stay powered without interruption - with extended battery performance of 9+ hours you’ll be empowered to go further, worry free. Connect to your environment - with integrated IR access that gives you the ability to control doors, lights, beds, TVs, stereos, and many other smart home functions. 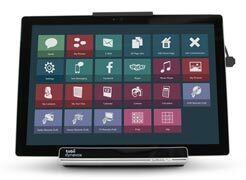 An all-in-one solution - when combined with optional Communicator 5 software, the EyeMobile Plus becomes a fully-fledged communication solution that gives you all the benefits of eye gaze-enabled control in one sleek, lightweight design. 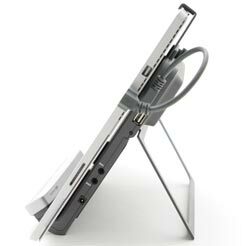 The bracket also lets you unlock the full potential of the powerful Surface Pro tablet with included Windows Control software. Be heard clearly with speakers optimized for speech - the EyeMobile Plus features two powerful, outward facing speakers that provide the user with speech-optimized voice output. With this built-in speaker solution, you can engage with confidence knowing you will be heard, even from across the room. Go further with worry-free battery performance - say goodbye to battery life anxiety. With the battery configuration of the EyeMobile Plus, you no longer need to worry about unexpectedly losing power, computer access, or your ability to communicate. 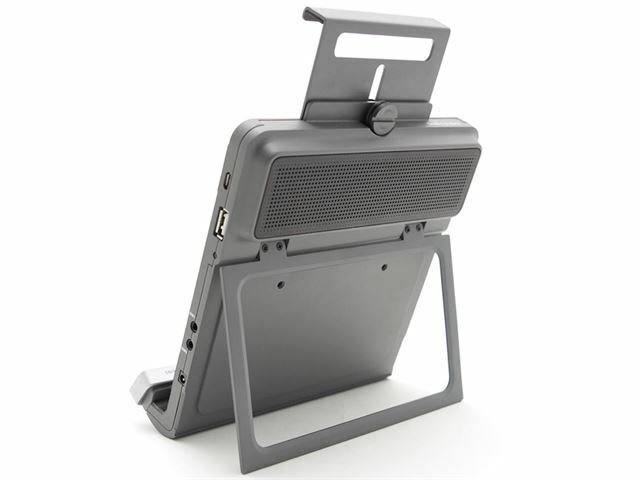 The EyeMobile Plus bracket can sustain itself with energy for 9+ hours and once exhausted, the bracket will use power from the tablet. Connect with your environment - the new built-in IR transmitter, combined with Windows Control and Communicator 5 pagesets, gives you the ability to access IR devices in your surroundings remotely. Now you can choose your favourite TV program or turn up the volume to your favourite song. With the EyeMobile Plus, you can take control of devices at home or in the office like lights, telephones, TVs, DVD players, and more all with gaze interaction. 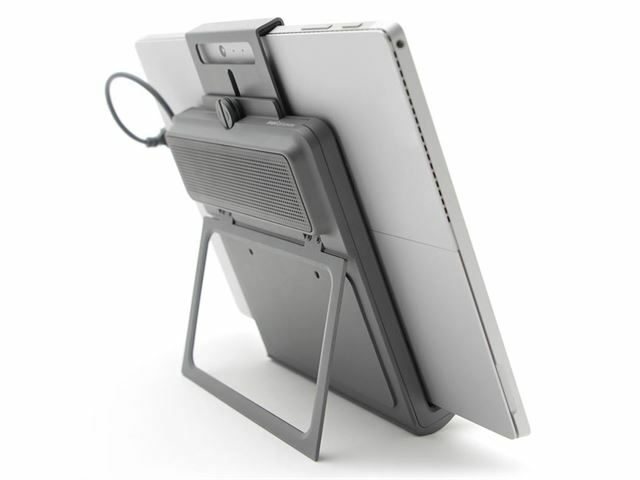 Mounting Bracket: Built-in table stand for table top use. 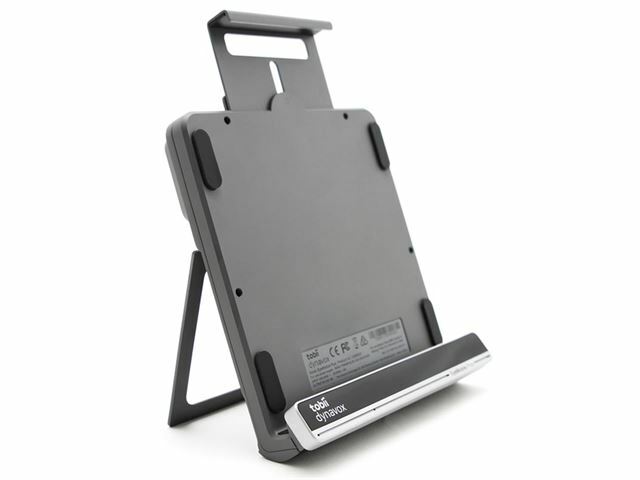 Tobii QR adaptor plate for Daessy and REHAdapt. 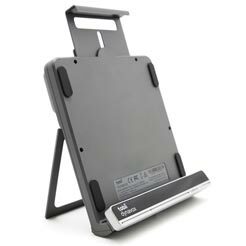 VESA mounting plate available to purchase separately. Ports: 2 × 3.5 mm Switch connector interface, 1 × USB 2.0, 1 × Micro USB 3.0, 1 × 5 VDC 4.4 mm Barrel Power Connector. EyeMobile Plus System Requirements: Processor 2.0(GHz) or faster, Dual-Core Processor, Memory 4GB RAM, Hard Disk 450 MB available, USB Interface USB 2.0 or 3.0. Please note: Available to customers in the UK only. This product has a 28 days returns policy.